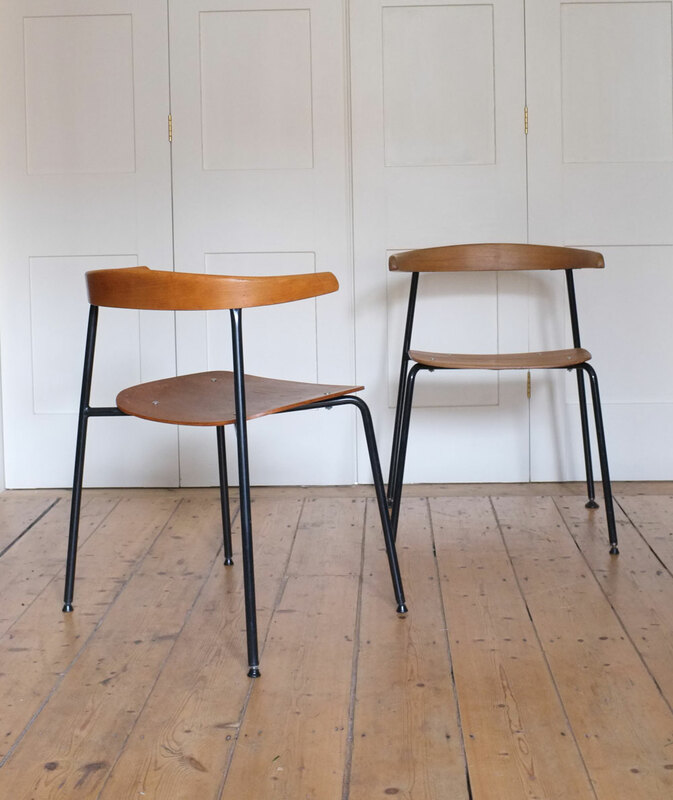 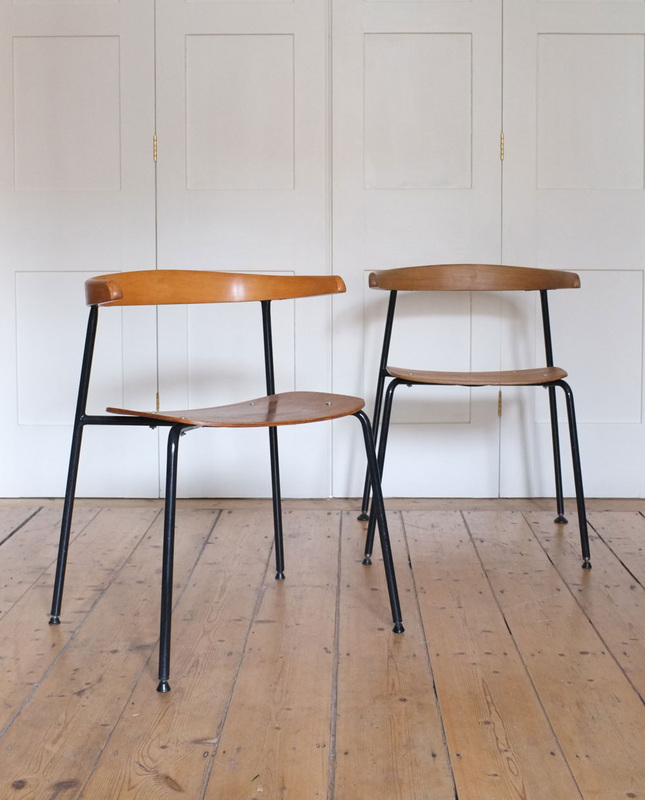 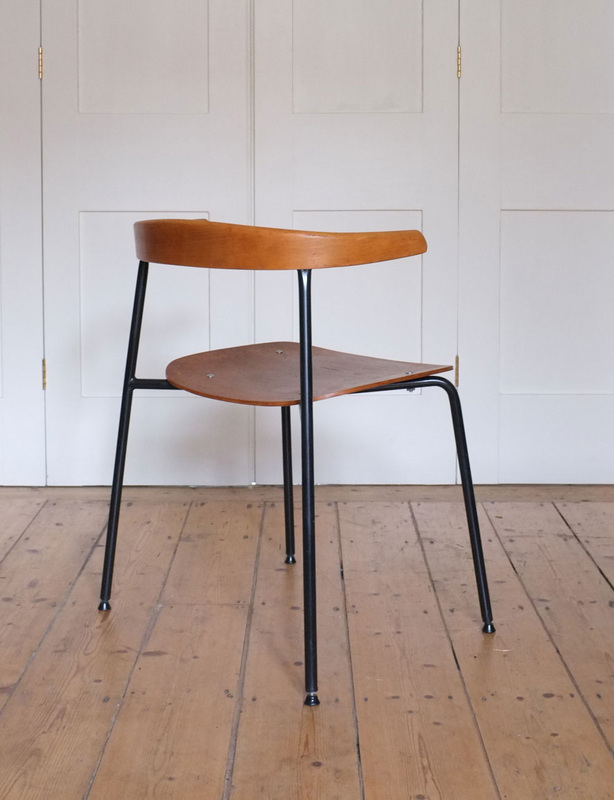 A pair of model C20 chairs designed in 1960 by Terence Conran and the Conran Design Group. 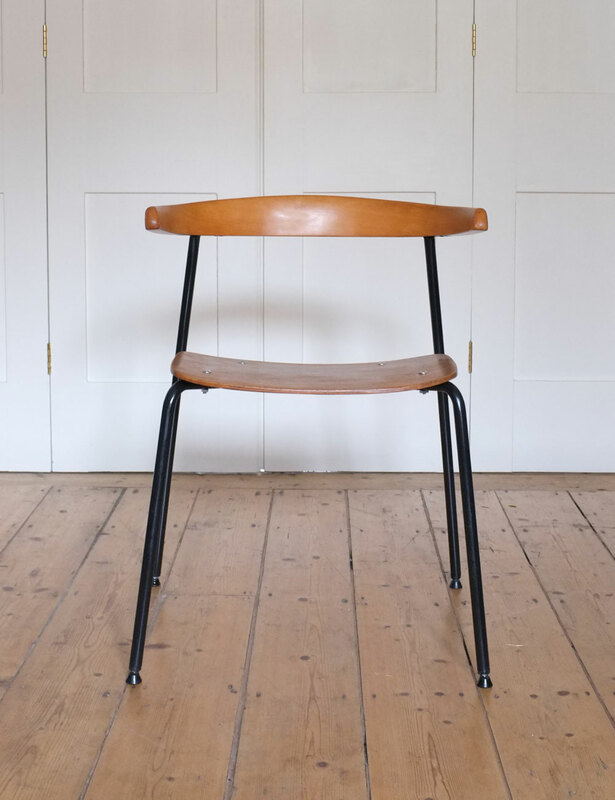 Black tubular steel frame, steam-bent beech seat backrest and moulded plywood seat. 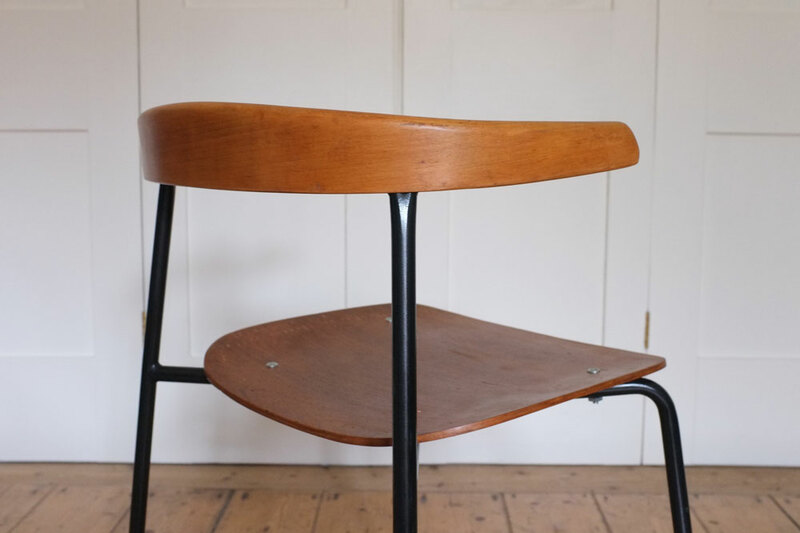 In overall good condition but there are some filled pinholes to one seat (probably was previously upholstered) and the other seat has a surface split to the top level of ply. 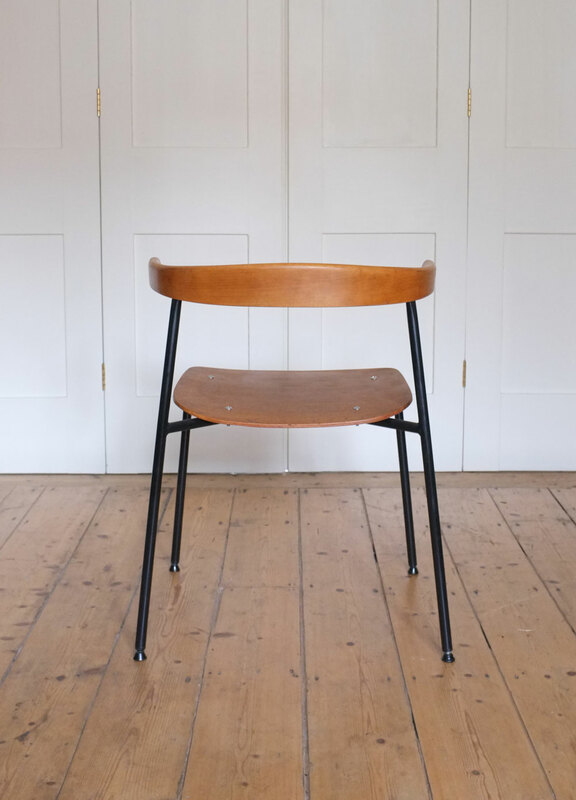 The chairs have been priced accordingly, please ask for more detailed photographs if required.